This can be used to substitute couscous or rice as a sidedish, as well as in some recipes. I usually either make it in the microwave with some salt, or stir fry it with a bit of oil. I will post some of the things I like to make, but would love to hear your ideas! 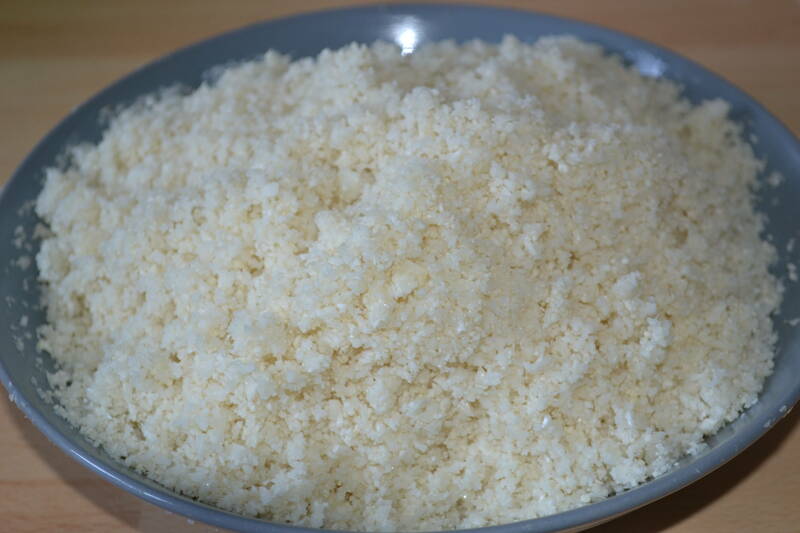 If using a foodprocessor: rinse the cauliflower florets and, once dry, introduce in the processor (2-3 batches per cauliflower) and process until you get a rice or couscous consistency, abouy 30-60 seconds. If using a mixer: rinse the cauliflower and introduce in batches in the standing mixer with some water and mix; once acquired the desired texture, drain. If using a grater: rince the cauliflower properly and grate patiently.